Thirty percent of what I do as an online tutor, I didn’t learn in college or graduate school. College and graduate school taught me how to educate students in English and writing. I learned how to teach, tutor, and help students excel at writing and English. And I learned even more through my years of teaching ESL and academic writing. But, when I started tutoring academic writing online, I didn’t know the business, technology and online tools and resources I needed to be an online academic writing tutor. And I didn’t realize how different online tutoring is compared to any other type of teaching. I learned those things by being an online tutor. 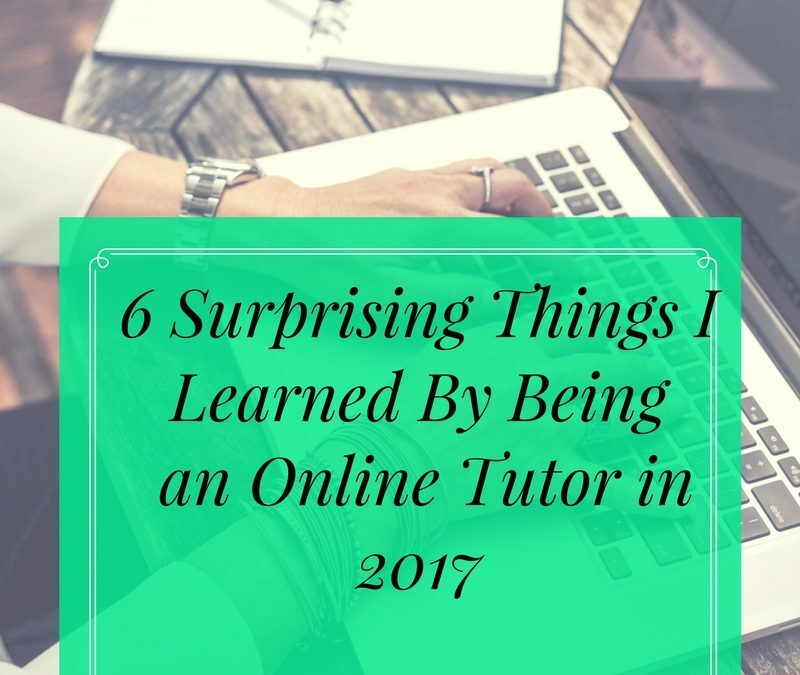 Here’s my list of 6 surprising things I learned as an online tutor. The first time I created a website was this year. I didn’t study creating websites in college or graduate school. But I needed a website for my online tutoring business. I watched YouTube videos and took online courses on how to build a website. But for an online tutoring business, I had to write and design a website that shows how I help students learn. I created a homepage with a video, about me page, tutoring services page, contact page, and academic writing blog. I studied how to do this by seeing other online tutors’ websites, researching videos and blog posts online, and taking a class on building an online tutoring website. 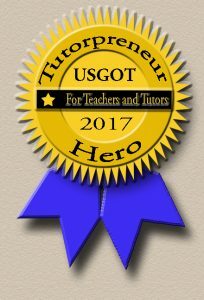 One of my favorite free resources for writing a tutoring website is the post, “Building Online Tutoring Websites to Attract More Traffic and Gain Credibility” http://becomeanonlinetutor.com/2017/08/21/building-online-tutoring-websites-attract-traffic-gain-credibility/ There is a useful video about this at the end of the post. The resources for tutoring math, science, reading, language, English, writing etc. online are different. There are a lot of tutoring resources out there from video conferencing software to online whiteboards, and online storing and sharing of materials for students. I use Google Docs for writing, revising and practicing English more than an online whiteboard. I use Zoom for video conferencing which also has a simple whiteboard. A lot of other tutors use BitPaper, Scribblar, or Idroo for more sophisticated online whiteboards. Finding online resources is easy, but selecting the right ones for your students is harder. Start by looking for video conferencing software like, Skype, Google Hangouts or Zoom, the type of teaching tools you need in your field (online whiteboard, and or teaching portals like Google Classroom) and places to store and share work with students (like Google Drive or Dropbox). Search for the specific subject you tutor plus online tutoring resources or tools. When you have a list of tools try them out with another person, before you start tutoring students. Professional development must be current and relevant to what you want to do as a tutor. I suggest you start searching for blogs, free books, webinars, videos etc. Then pinpoint what you need to learn, and how you learn best. I realized online courses were helpful to me, but I learned the most via coaching and question and answer sessions. The Become an Online Tutor Blog (Affiliate Link) https://ultimatesupportprogram.mykajabi.com/a/6479/siFrzi4V This is a blog with advice on every aspect of online tutoring. Joanne Kaminski is an online reading tutor and online tutoring business coach. She’s coached and guided me in running an online tutoring business. Teaching ESL Online https://www.youtube.com/channel/UCANHWaB_Wc3LiG03fC_j0Zw This YouTube Channel has videos that focus on helping Online ESL Tutors. There are a variety of audio and visual tools out there. Some people use a headset with the microphone attached. I use earbuds and the Blue Snowball Mic that connects to my laptop. You need a good webcam, so students can see you clearly. I use a separate webcam that I attach to my laptop. The webcam that is part of my laptop is a lower quality webcam. Other things I needed besides my laptop were a tablet and cellphone that I can use with my video conferencing in cases where I can’t use my laptop. And I needed a strong internet connection. Search for what other people use, watch videos about tools, and read a lot of reviews. Then try out everything you have with other people. Do these things work well in an online tutoring session? My best friend in California was a test student for all the equipment and tools I use! The biggest challenge for me to overcome was creating videos for my website and my Online Academic Writing Tutor YouTube Channel https://www.youtube.com/channel/UCrL68DkEqFe1kwGPQVJ5cWA?view_as=subscriber. I learned how to write video scripts, record my videos, edit them and where and how to share them. Writing a video script as an online tutor is about knowing what I want to teach, what materials, props or other things I want to use and how I want to communicate with others. I also learned about lighting, how to use a green screen (since my office space is dark), and how to edit a film. I’ve gotten better at making videos, but it’s a skill I’m still learning. Blogging is a different genre of writing compared to anything else I’ve written, academic papers and articles, poetry and fiction. In school, I never had a writing class that covered how to write a blog post (not that I was interested in learning how to blog). Some of the things that differ in blog posts are the size of paragraphs, amount of formatting, and visual elements in a blog post, and a casual writing style. The vocabulary is simpler than what I use with academic writing. The writing is so different from what I normally write that I was terrified to write my first blog post! But the best way to learn about blogging is by reading other blogs and finding what you like and dislike about their writing. Then by sitting down, writing and publishing your blog posts. I am amazed at the things I’ve learned by being an online tutor. I’ve grown as a tutor by learning non-teaching skills like creating a website, creating videos and writing blog posts. I’ve learned new online tutoring techniques and developed as an online tutor. And in everything I studied this year, I was a student trying to learn how to do something I’ve never done before. One of the best things any teacher can have is the experience of what it feels like to be a student learning a challenging subject. I’ve pushed through these challenges this year. I hope to learn more surprising things as an online academic writing tutor in 2018!